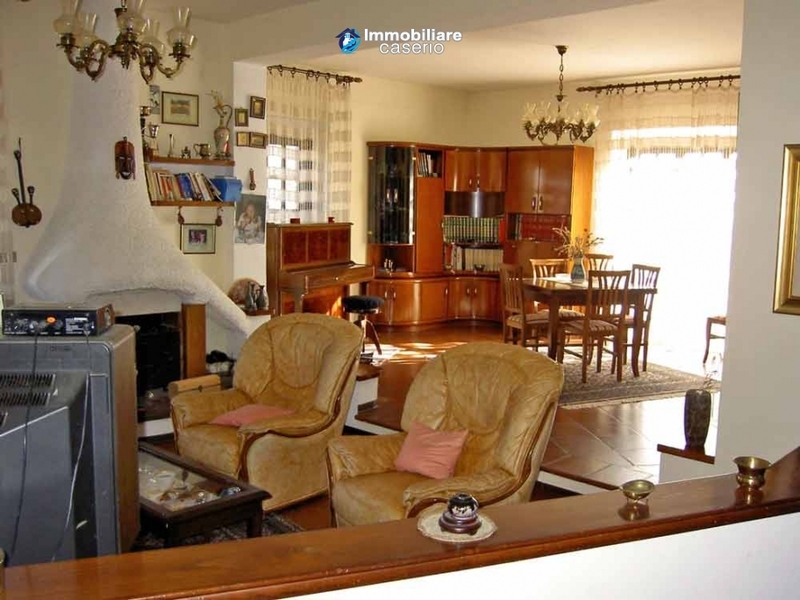 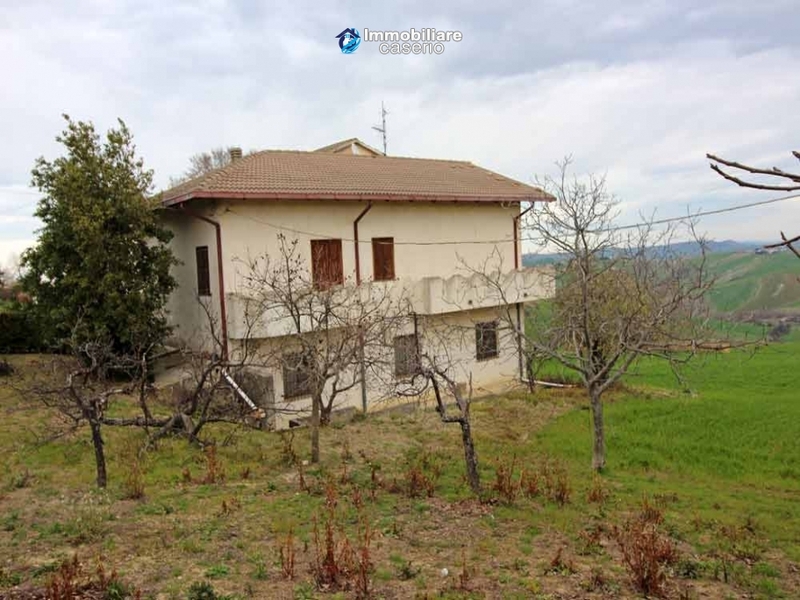 Description:Beautiful and spacious house surrounded by nature just 20 km from the Lido of Casalbordino for sale in the Abruzzo Region, Italy. 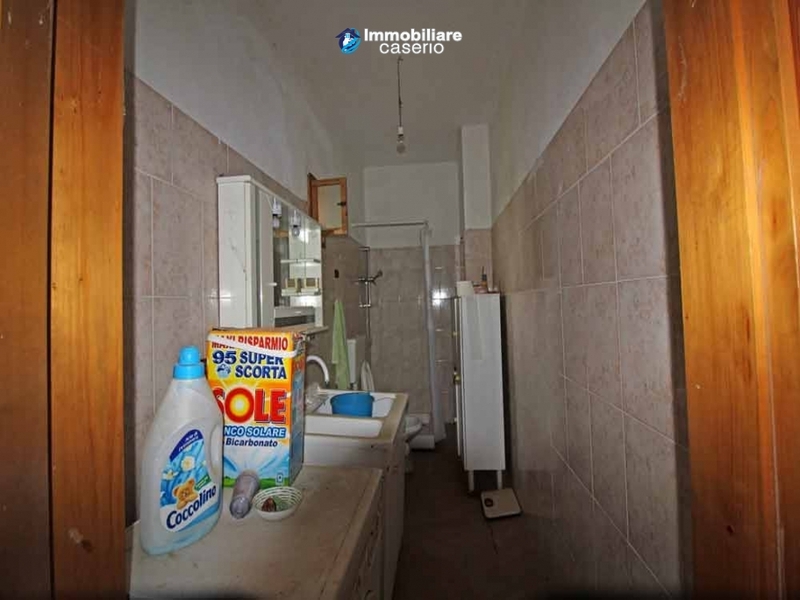 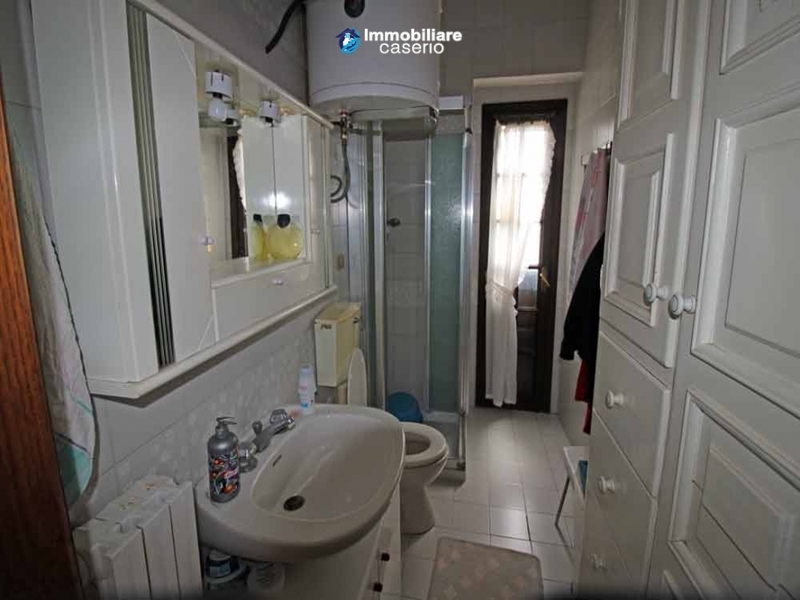 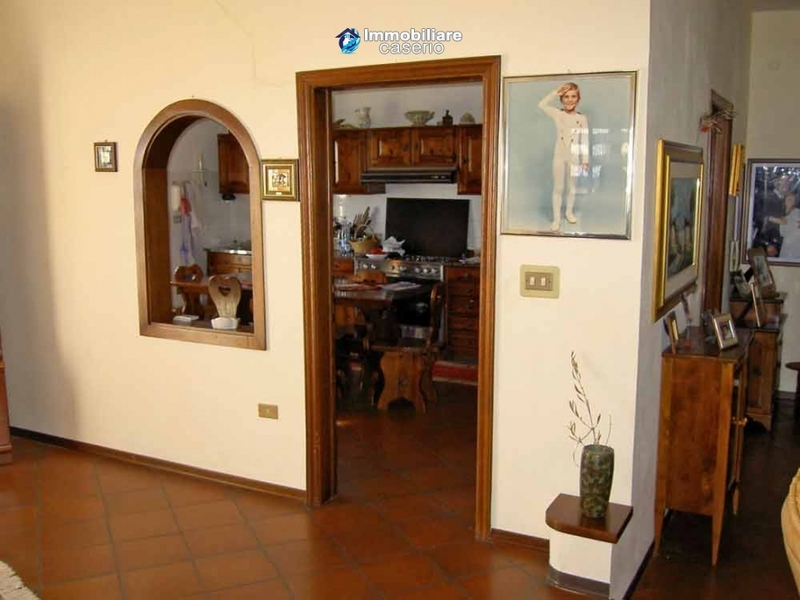 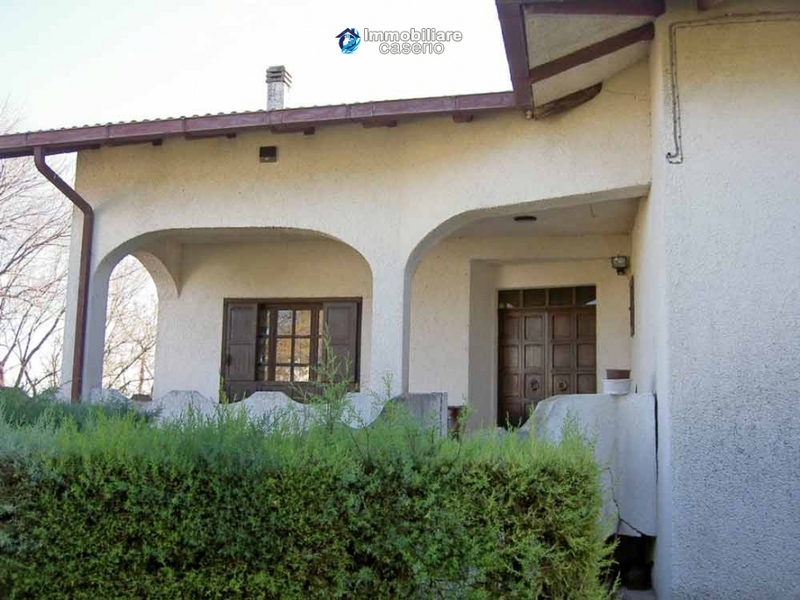 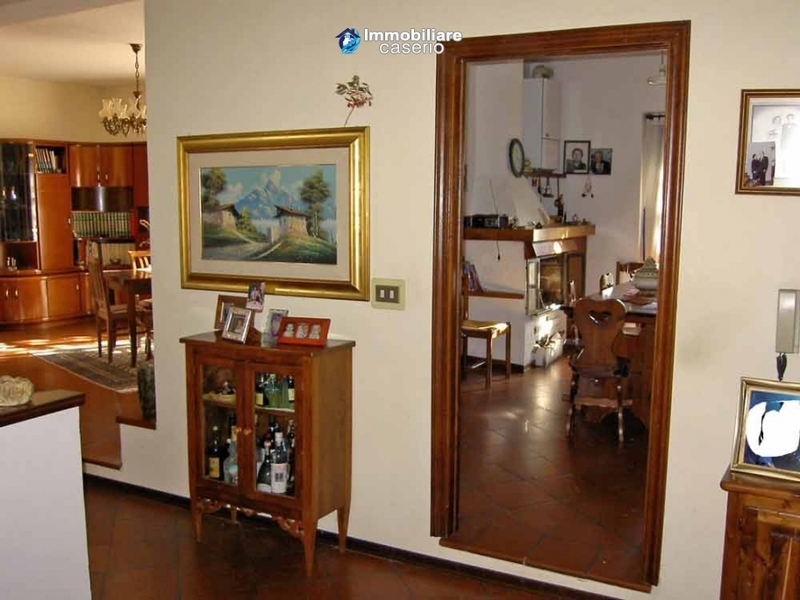 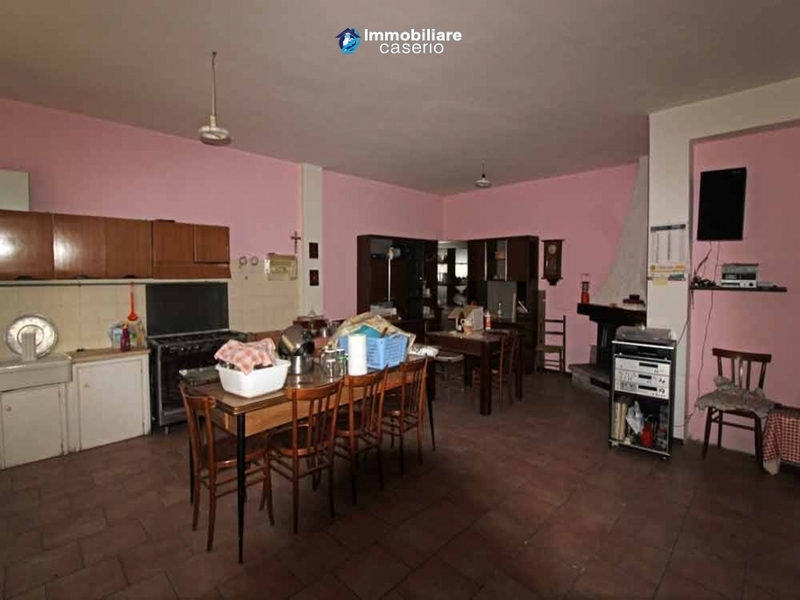 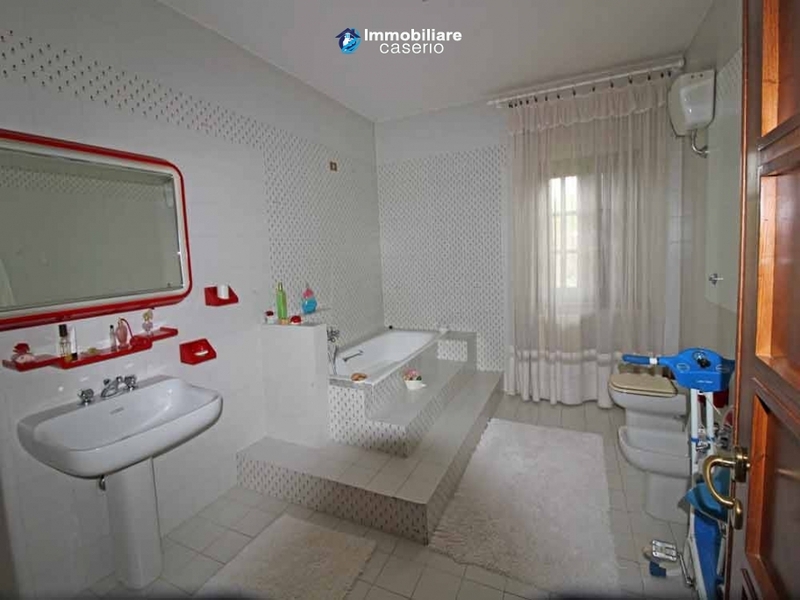 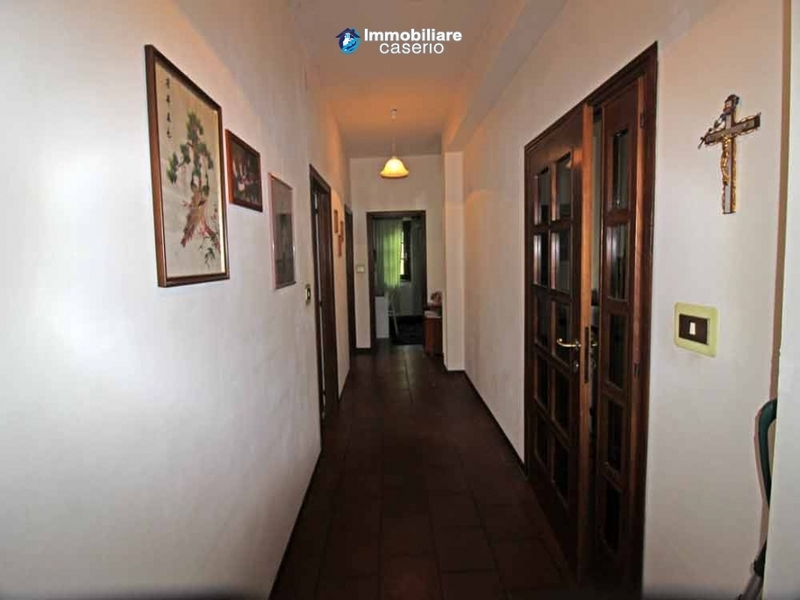 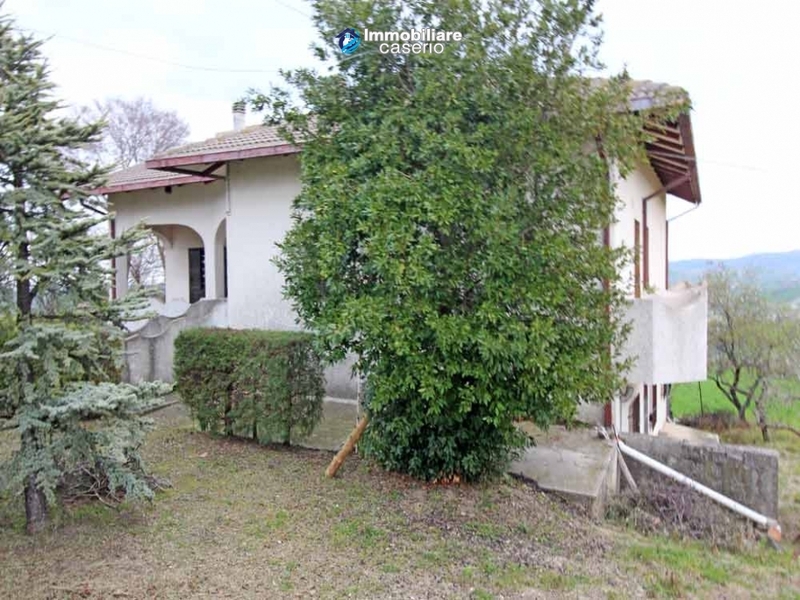 The property has three floors for a total of about 300 sq m with two separate entrances and with the possibility of making a spacious swimming pool. 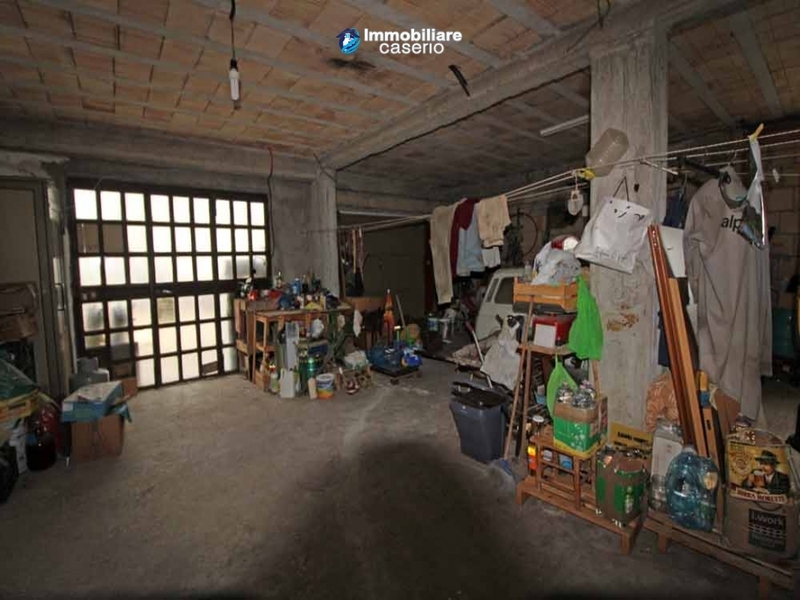 In the basement there is a large garage, a large room used as a kitchen and living room with fireplace, a bathroom and a double bedroom with window. 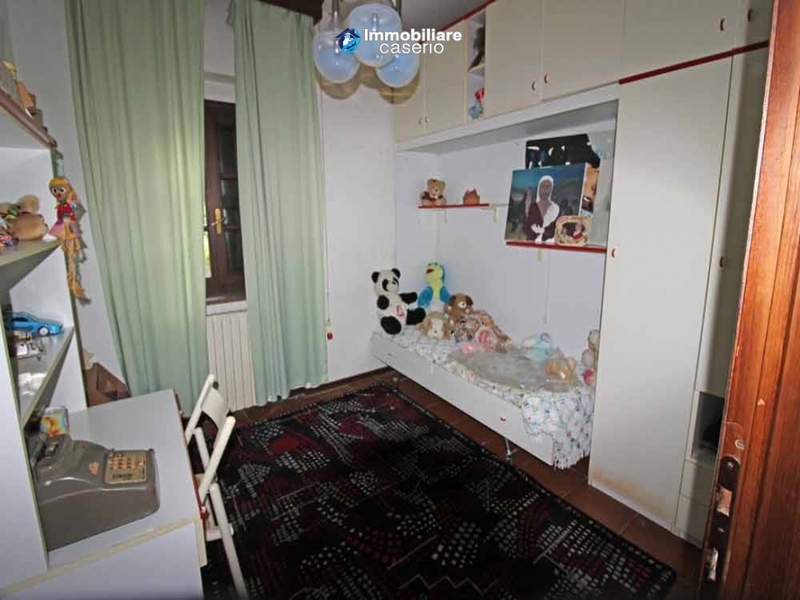 This floor can be converted according to personal needs. 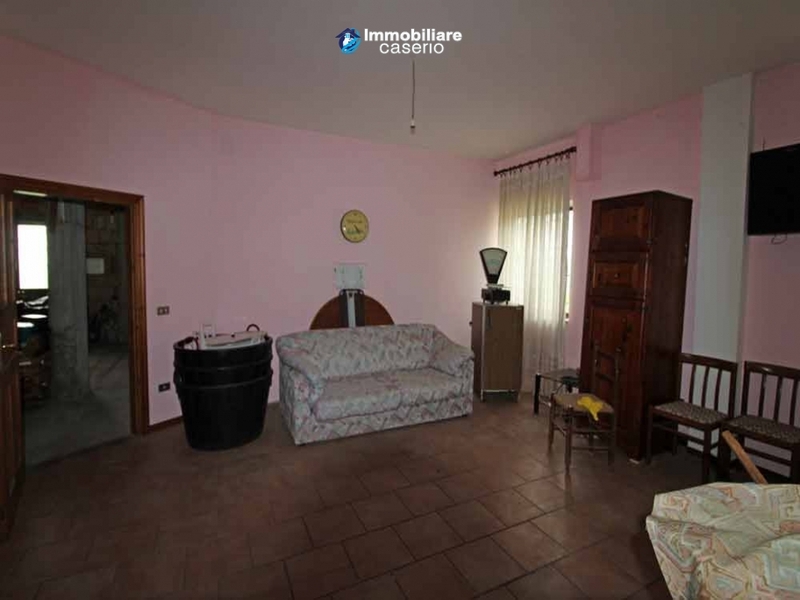 On the ground floor there is a bright room with fireplace, a corridor, a kitchen with fireplace and glass and aluminum veranda now used as an extension of the kitchen with dishwasher, etc., a large master bathroom with tub, a bathroom with shower, a bedroom and two spacious double bedrooms. 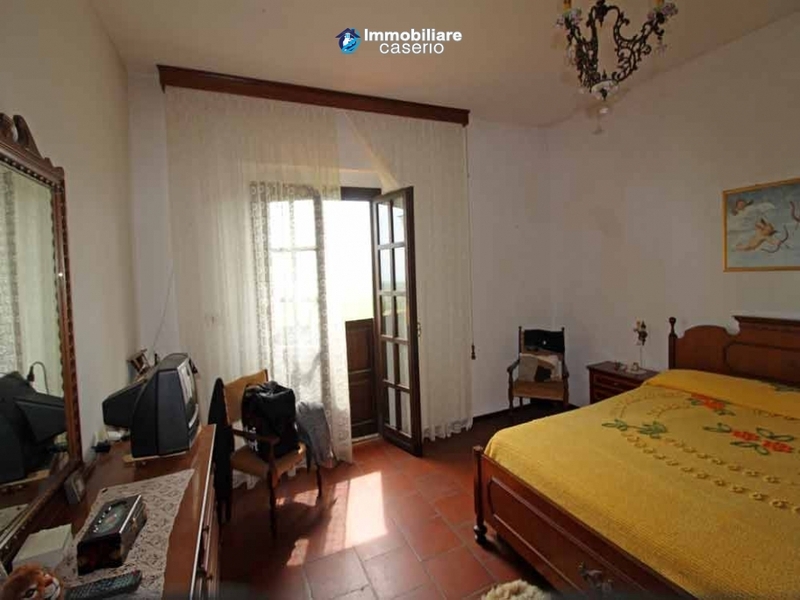 The property is in excellent condition and on the whole of the house we find balconies and a veranda where you can admire the Adriatic sea, the hills and the mountains. 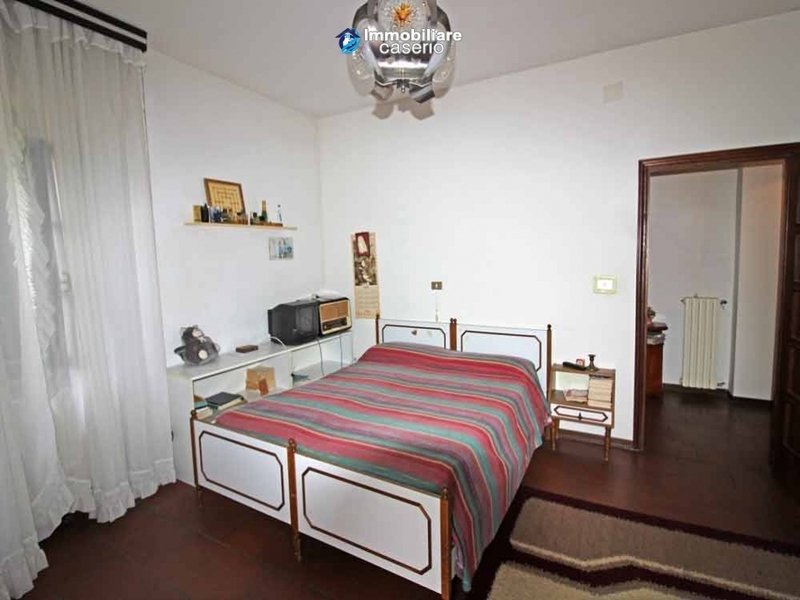 The services available are water, electricity and independent heating with radiators via LPG. 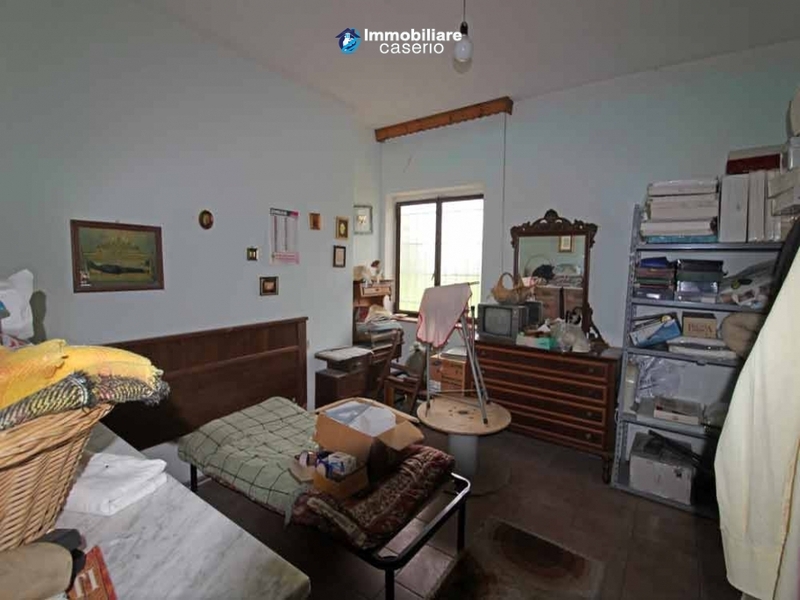 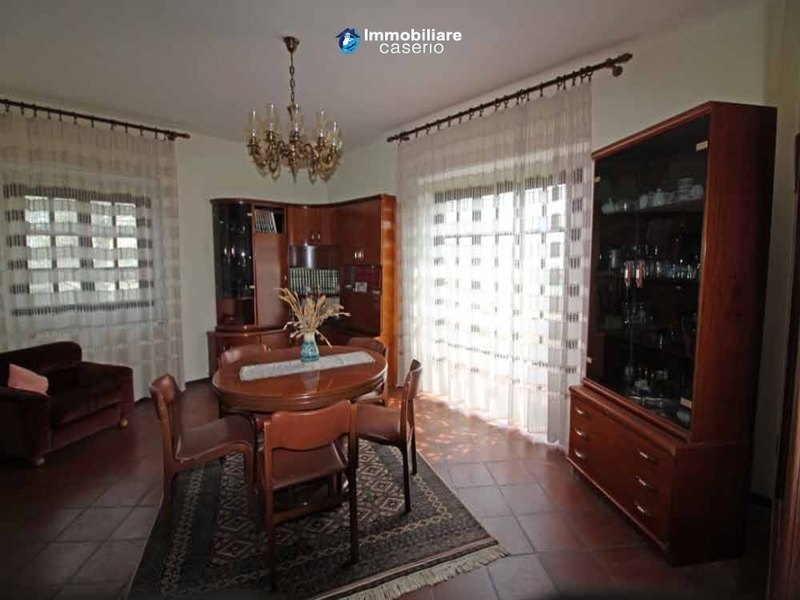 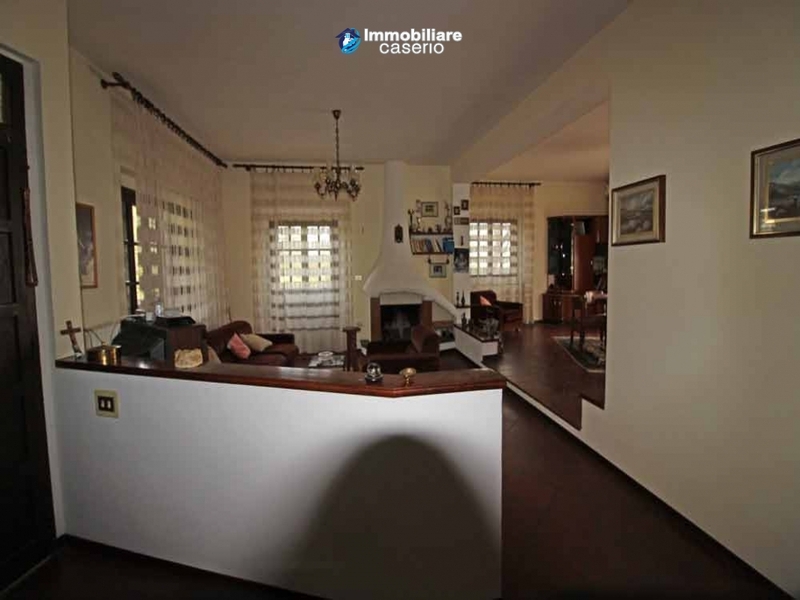 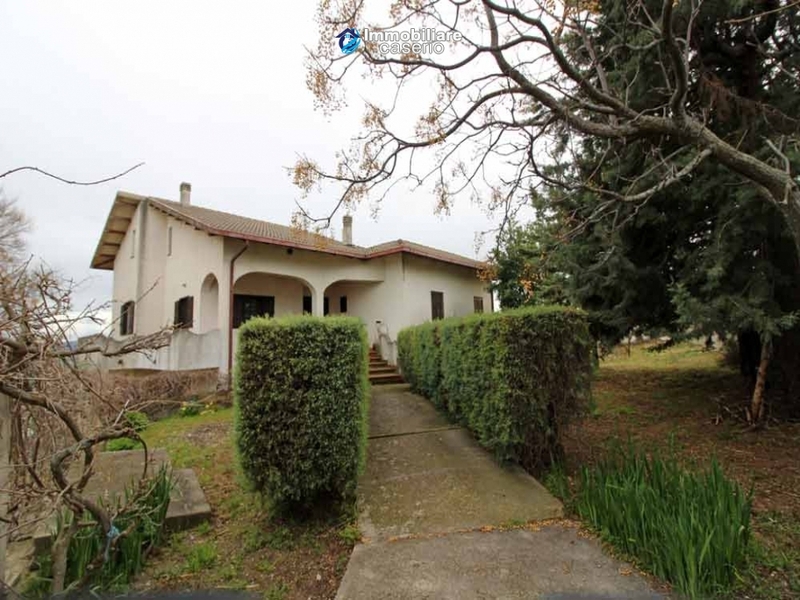 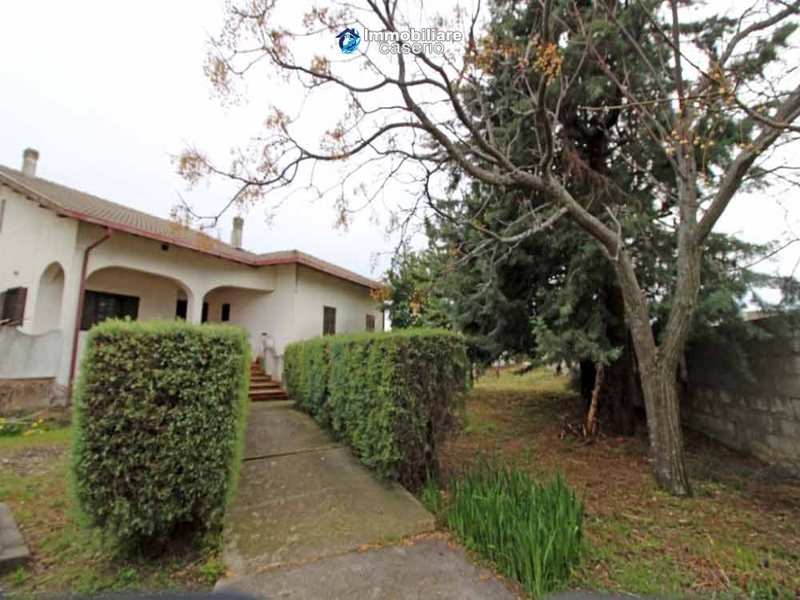 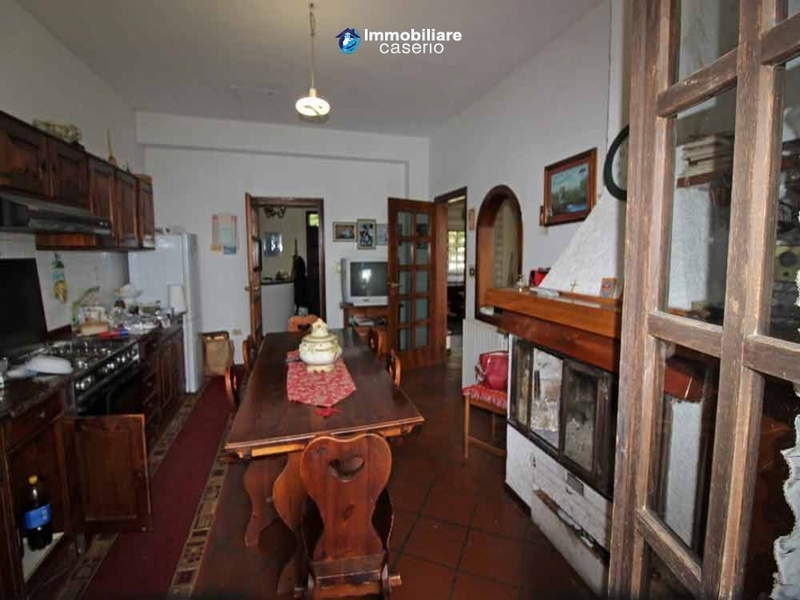 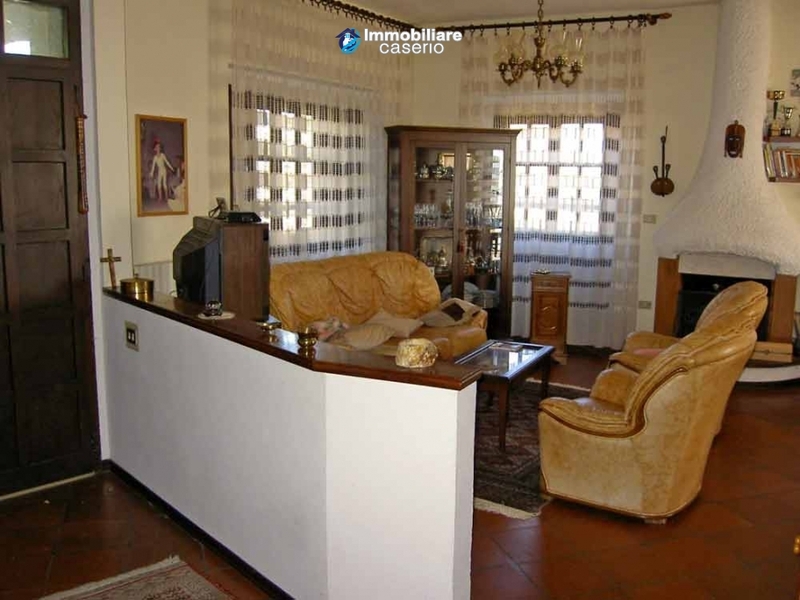 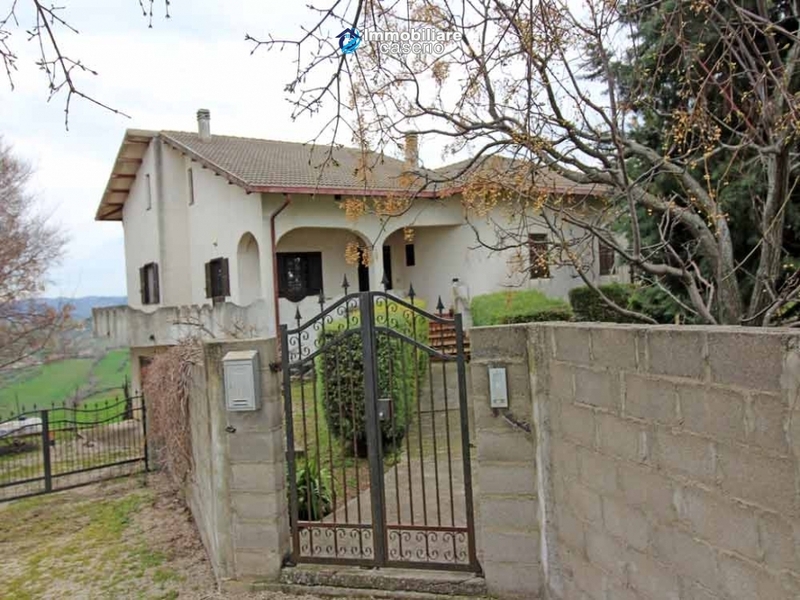 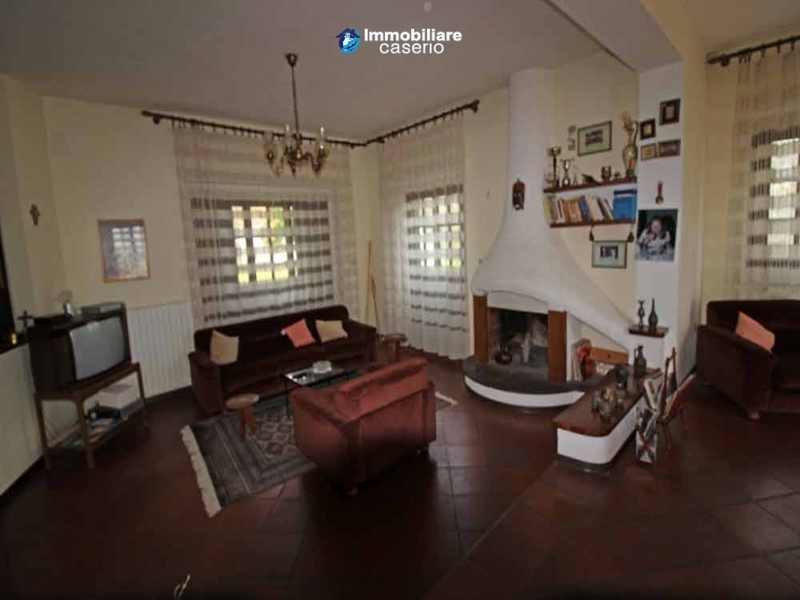 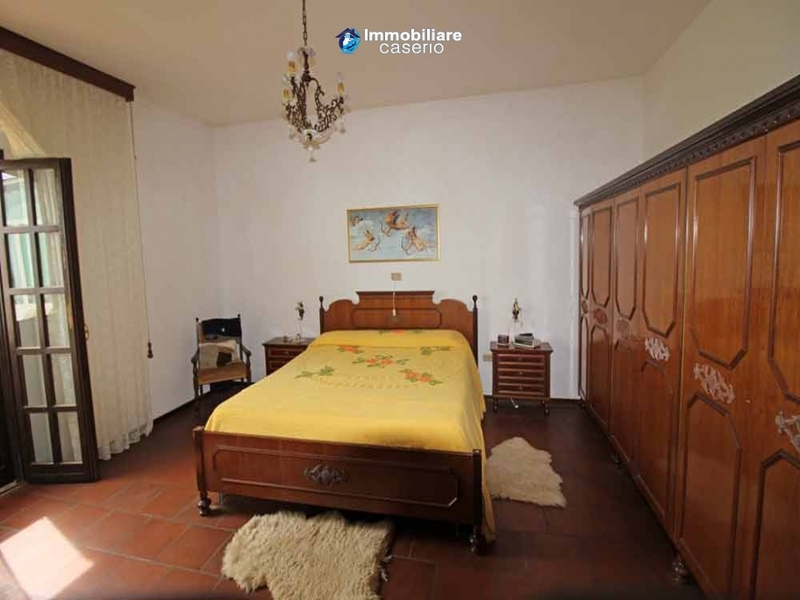 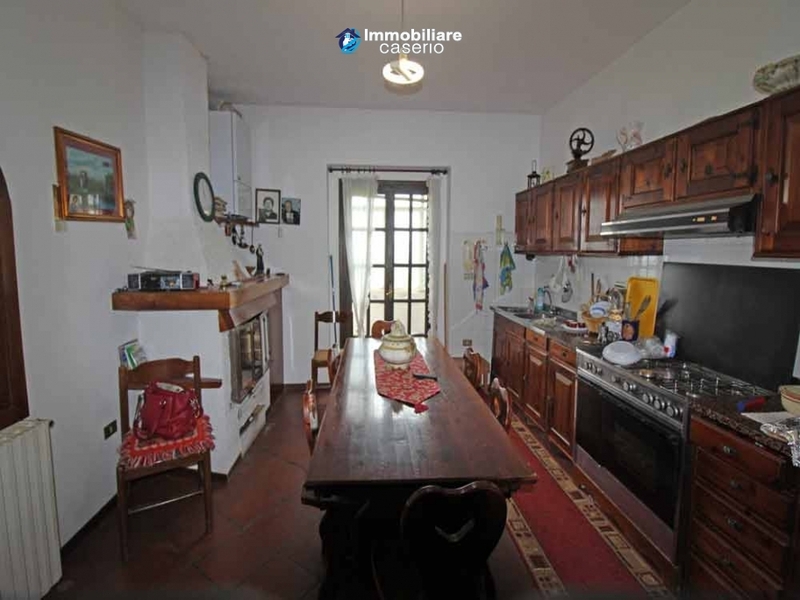 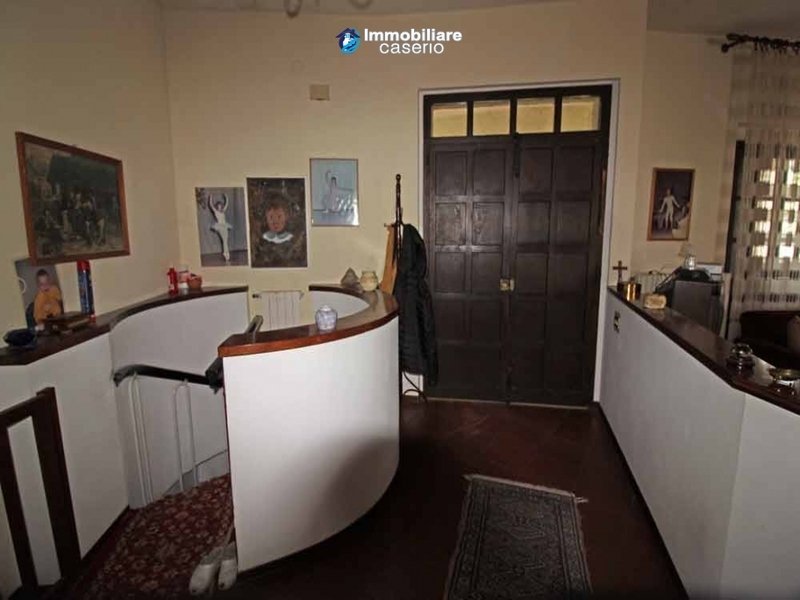 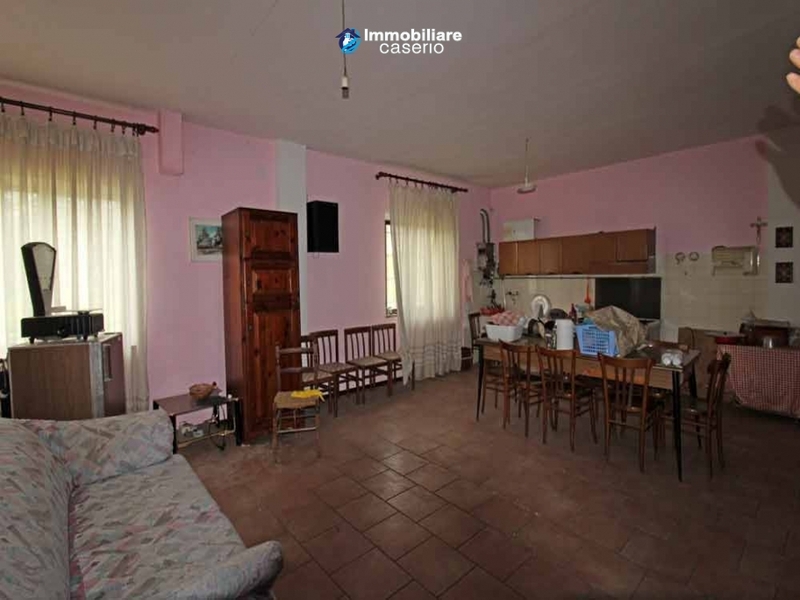 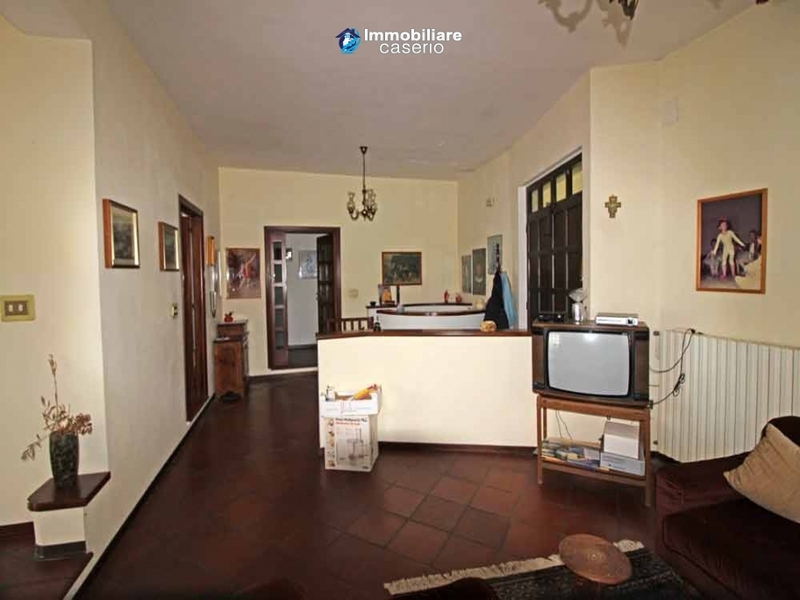 The property has 10,000 sq m of land; not included in the price you can buy up to 30,000 sq m of land with 50 olive trees and a barn of 70 sq m.
Distances: 20 km from Lido of Casalbordino, 5 km from the center of Atessa, 70 km from Pescara airport. 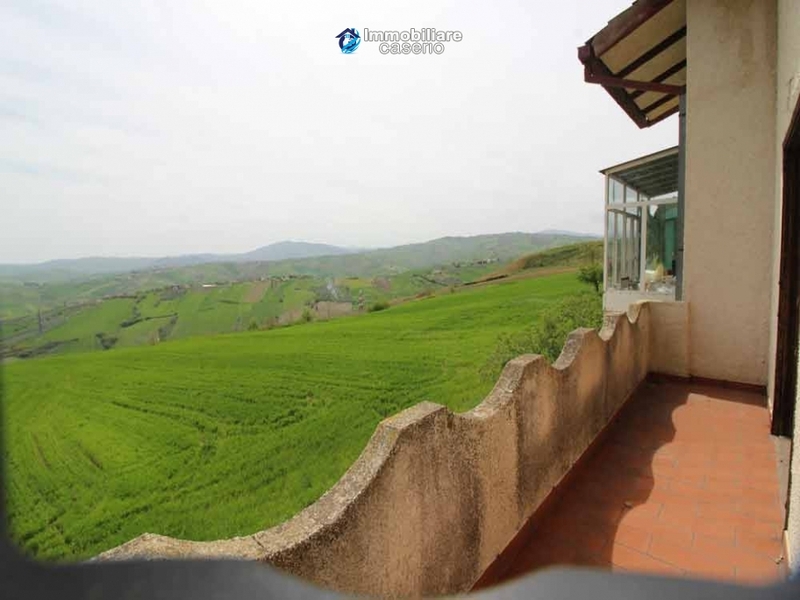 View:Balconies and a veranda where you can admire the Adriatic sea, the hills and the mountains. 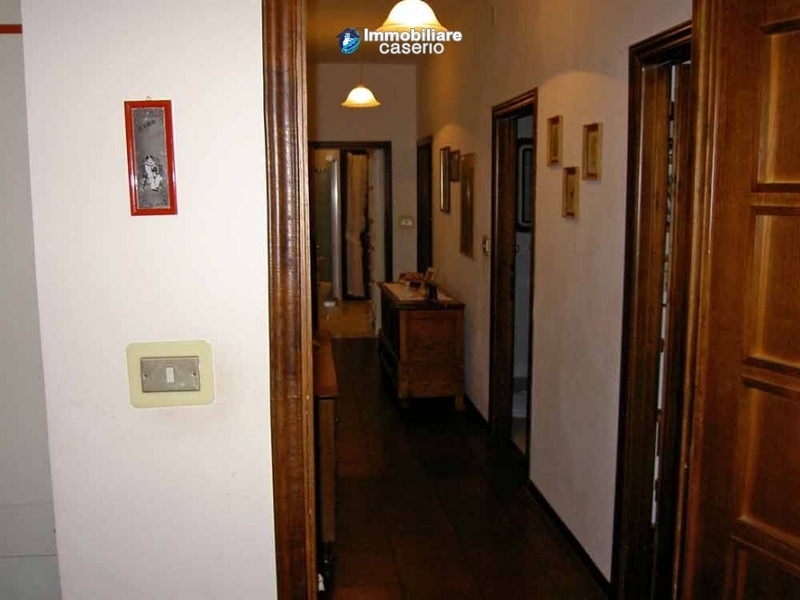 Utilities:The services available are water, electricity and independent heating with radiators via LPG. 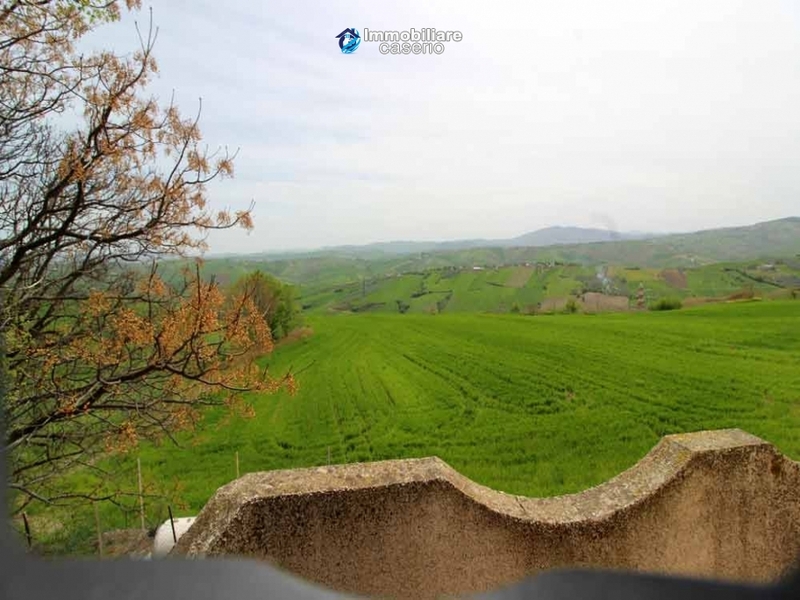 Land:The property has 10,000 sq m of land; not included in the price you can buy up to 30,000 sq m of land with 50 olive trees and a barn of 70 sq m.